to be offered to the general trade in late 1997. 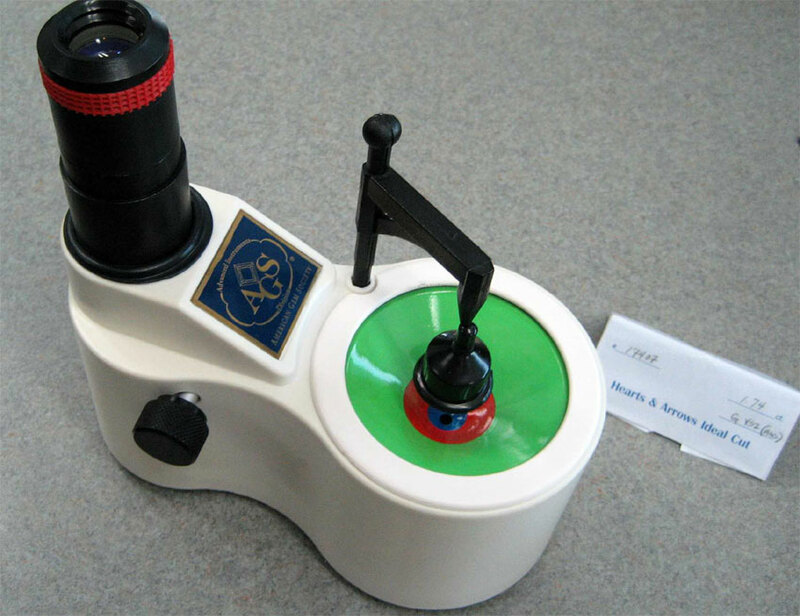 This proportion-based AGS system enjoyed much success and created a large pool of users both foreign and domestic who saw a need that AGS alone had filled. 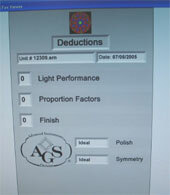 Other second tier labs began to mimic AGS with their own “Ideal” grades, but their standards were too loose and not very credible, nor based on science. 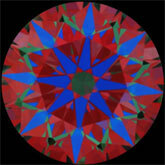 This method would calculate a diamonds ability to reflect, refract and return light to the observer. 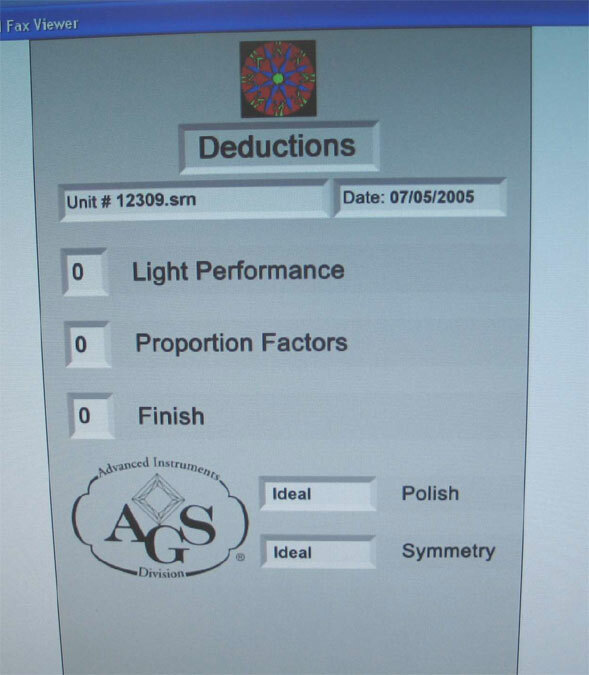 In so doing, the interaction of all of the diamond’s facets are measured and considered. Many Hearts and Arrows dealers have continued to use the AGS 000 report since its inception. 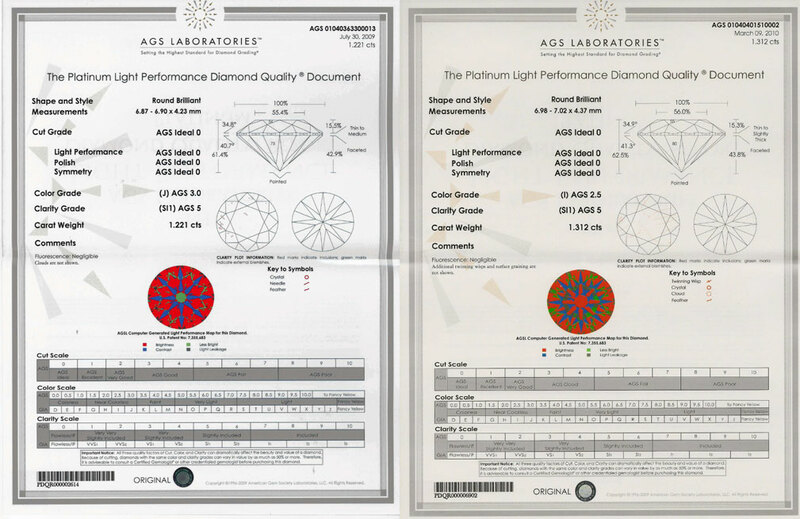 Today we believe the AGS DQD Platinum report with ASET image is the closest thing to a true H&A diamond report in the US today. True Hearts and Arrows show a bright blue arrows pattern against a red background on the ASET image, if the pavilion and crown angles are at proper relationship to each other. It is important to understand: Not all AGS 000’s are H&A Ideals! In the 1950’s, GIA developed their color and clarity nomenclature that has remained the worldwide industry standard. 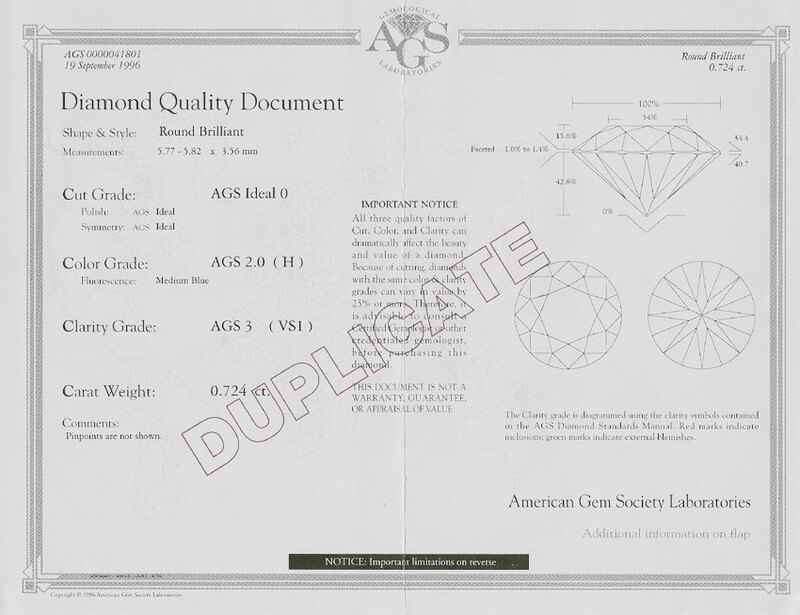 They were the first to issue grading reports using these terms as well as basic measurements including: table and depth percentages, girdle thickness, culet size and finally polish and symmetry grades, but no overall cut grade. Finally in 2005, “after more than 15 years of research and discovery”, they unveiled a controversial cut grade system with their top grade of Excellent. 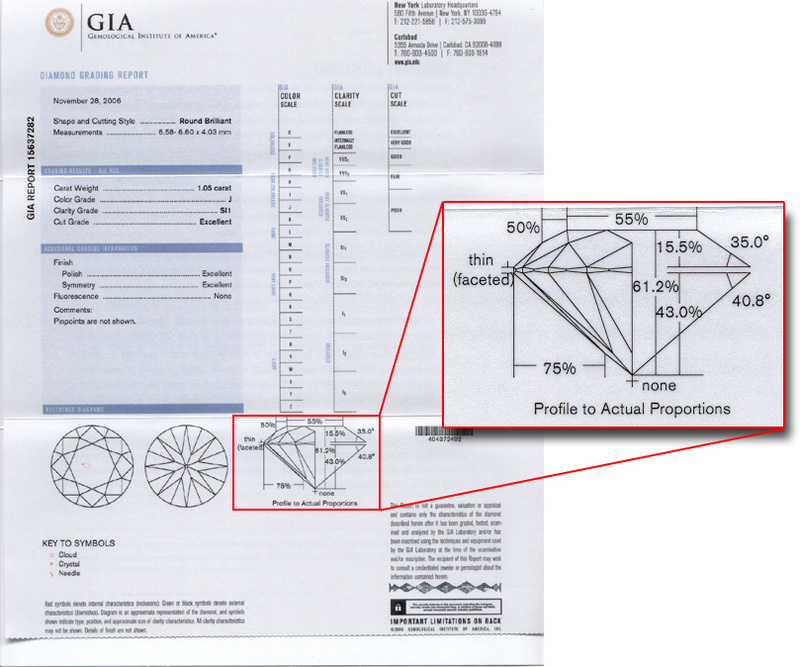 There is a presumption in the trade today that the Excellent Cut designation on GIA reports is synonymous with Ideal or Hearts and Arrows cutting. 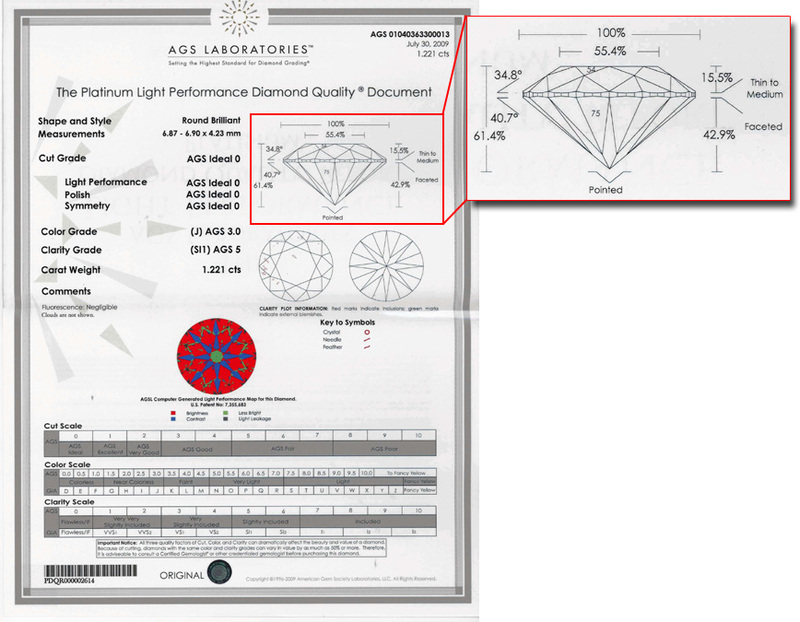 While it is a fact that all true H&A Ideals submitted to GIA would garner their top grade, one should not assume that all “Triple Excellent” stones are automatically Hearts and Arrows. It is important to understand what Excellent means and how the GIA arrived at their top grade. 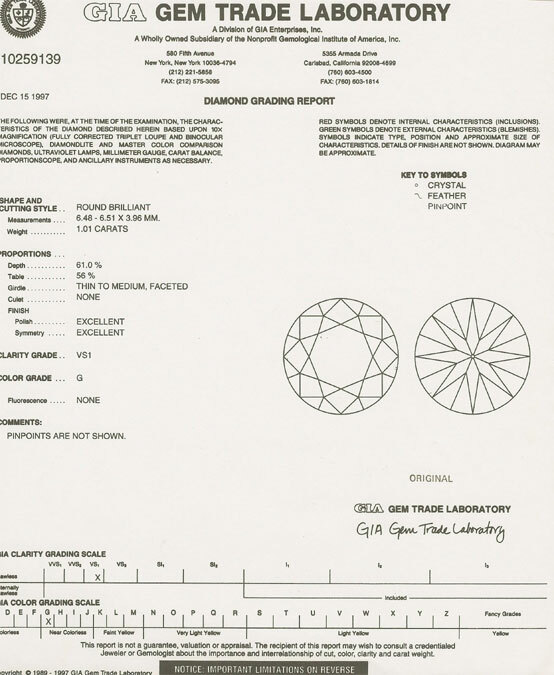 And so it was that GIA came up with a cut grade system that included “many different proportions”. Too many perhaps, so that their top grade was too broad and therefore not really that “excellent” after all! Unfortunately, GIA had become so vocally “anti-Ideal Cut” in the years before the rollout of their new system, they made sure everyone could find a home in this new “Excellent Adventure”. Their top grade has become a “catch-all for better makes” from the best Super Ideals to some very mediocre cut diamonds. GIA Excellent Cut... not so excellent? 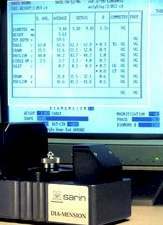 Note: Collected from GIA FACETWARE software and actual lab reports encountered in the trade. Cutters could now cut diamonds with greater yield and still get an Excellent cut grade! Mr. Moses stated, “Our research is that there is no single set of proportions that define a well-cut round brilliant diamond”. This is an understatement. It’s true that not all diamonds graded Excellent at GIA are mediocre, but that is the problem, many are. So what about those Tolkowsky type, tight tolerance Hearts and Arrows Diamonds? GIA does not have a “Super Excellent” grade. How does one separate these superior diamonds from weaker makes with the same label? It’s like putting a Bentley and a Cadillac together into the same “luxury car” category! Anytime a luxury brand becomes “too general” or generic, it loses its cache. This may be the fate of GIA’s Excellent over time, as people become more educated about cut. 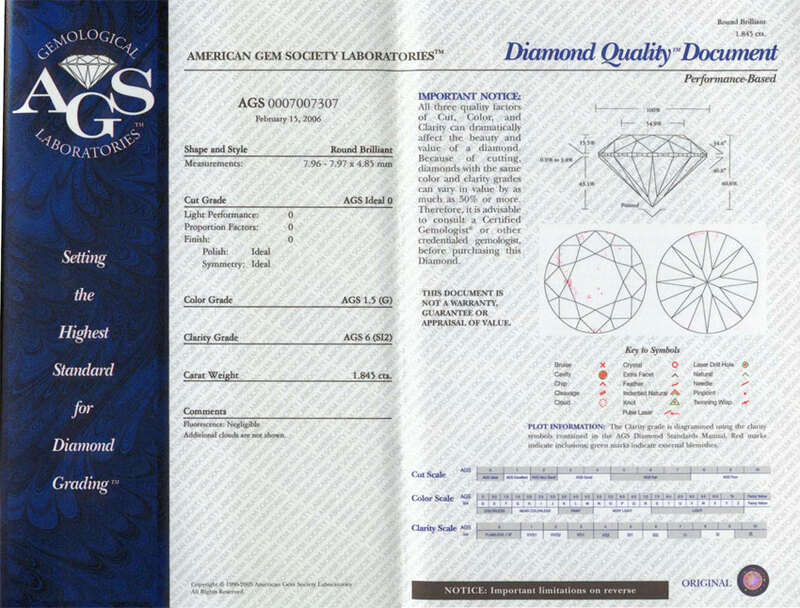 This is why the American Gem Society Laboratories has remained a reliable alternative for scientifically quantifying top cutting. After all, what should buyers expect of an “Excellent cut” diamond? Shouldn’t they expect a diamond that reflects and refracts light to the highest possible degree: a diamond that delivers maximum light performance, scintillation (sparkle) and dispersion (fire)? 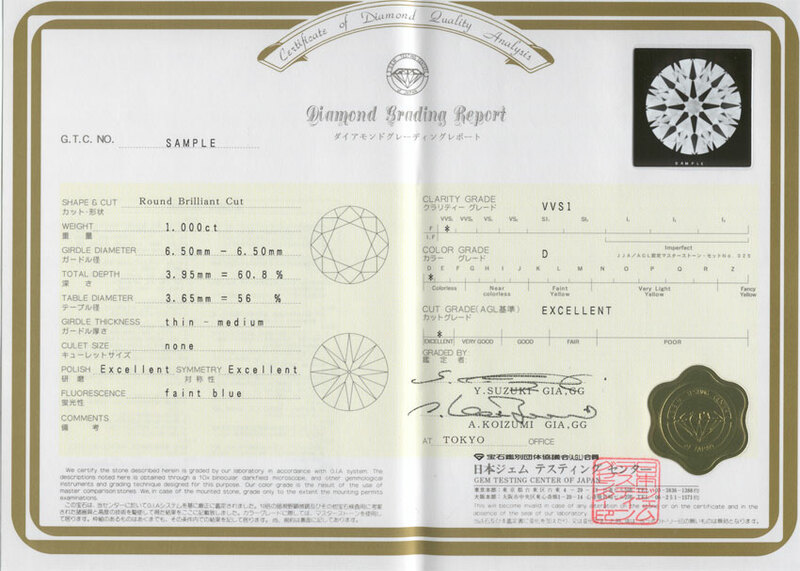 It has always baffled the trade that diamond buyers seem to care about small differences in color and clarity grades, with the surprising insistence on one grade over another. Yet these same buyers will often settle on an average cut diamond that “doesn’t deliver the goods”! It is obvious that they don’t understand that subtle differences in cut can have a huge impact on diamond beauty…much more than one or two color or clarity grades can. Times are changing and buyers are demanding products that are technically superior to those they have purchased in the past. Diamonds are no exception! A new millennium has dawned and thanks in part to the Internet; it is an age of enlightenment. Consumers educate themselves before they shop and they demand more information before they buy. They are often better informed than sales people they encounter. Times have changed. Not affiliated in any form with Lenko Diamond or retail stores using the name "Hearts and Arrows Philippines"